In American it is called football, in Australia we call it rugby. Either you call it rugby or American football, this fantastic sport attracts numerous football fans. Every year, the Super bowl attracts millions of fans at the NFL post season. 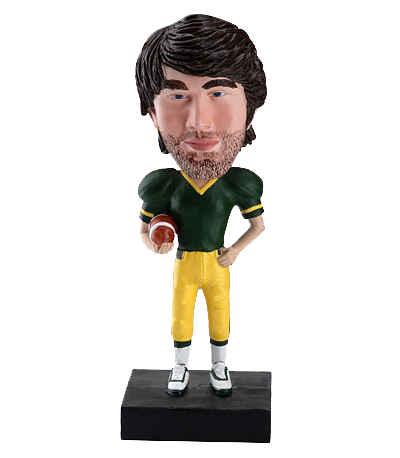 If you have an American football fan in your life around you, this custom American football bobblehead is definitely great gift to resemble his smiling face. By making it as a birthday or Christmas gift, he will be hugely thrilled by the superb hand works made in Bobbles AU.